With Mother's Day behind us, it's time to start thinking about the next holiday for gift giving: Father's Day! Our husband has worked really hard this year and truly is a wonderful Dad so we are on the look out for ways to make him feel special and appreciated. It doesn't hurt to indulge and splurge on him a little also in two of his favorite hobbies: golf and grilling. 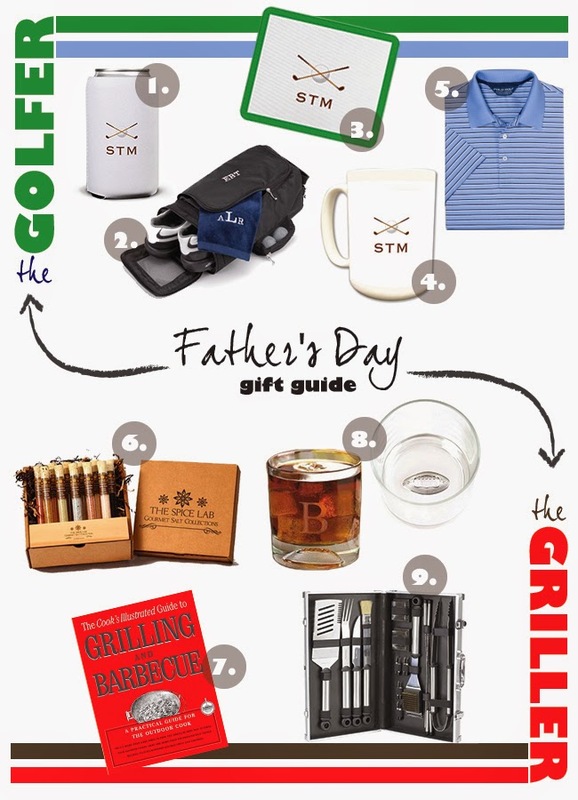 We've rounded up some cool gift ideas for Dad here for the golfer and the griller. Find all these great products here, some at More Than Paper and some other places on the web. We will bring you some more Father's Day gifts later on in the week! If you need something for the tech lover or literary fanatic, we've got you covered there too.